About three years ago, I bought a pre-owned Leica M7 in excellent shape offered at a great price. I had intended to use the M7 only for a two or three months while my Leica M3, my only Leica M body at the time, was being overhauled at Kanto Camera in Japan. I figured I could resell the M7 for at least the amount I had paid. Yet when I got my M3 back, I could not bear to part with the M7 and decided to keep it. Readers take note! This is how the Leica money sink starts! The Leica M7 is unique among M film bodies in that it has an electronic shutter, rather than a mechanical one like every other Leica M’s. The electronics enable an aperture priority automatic shutter speed setting on the speed dial. For people who are bothered by Leicas that have no through-the-lens (TTL) light meter like the Leica M2, M3, and M4, or by having to manipulate shutter speed themselves with models that do have TTL like the Leica M5 and M6, the M7 is a kind of godsend. The shutter speed dial is the ergonomically superior type used on the M6 TTL. It is large and easier to rotate than the smaller type dial found on the Leica MP and M6, which were both designed after of the notched dial of the Leica M3, M4, and M2. The notched dial was never intended to be directly manipulated, and was rather designed for the external Leicameter light meter attachment, whose larger dial connects to the camera dial so the user easily adjusts shutter speed using the Leicameter. 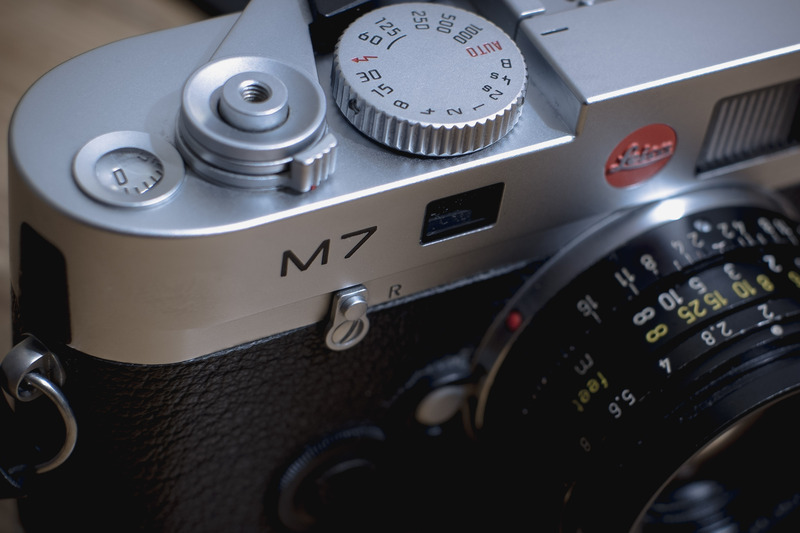 The dials of the M6 and MP were an aesthetic choice, not a practical one like the Leica M7 dial. When shutter speed is set to automatic, the shutter speed is displayed in red LED below the finder frame. Automatic speeds are more precise than the manual options. The camera will shoot at in-between speeds of like 1/45, 1/90, 1/180, 1/360, and 1/750, none if which can be selected manually. When shooting manually, the LED displays two arrows and a circle in the middle, like >o<. When the circle and the two arrows are illuminated, exposure is right. When under or overexposed, only one of the arrows will illuminate. You rotate the shutter speed dial in the direction of the illuminated arrow to correct exposure, which is a nice touch. On the Leica MP and M6 with the smaller M3-like dials, bizarrely you must rotate the shutter speed dial in the opposite direction, only these are an homage to the dial rotation of the M3 which never had TTL. If you switch between cameras with each type dial, this can be somewhat annoying, like going back and forth between left-hand and right-hand drive countries. My Leica M7 happens to be one of the earlier models that has a finder patch flaring defect common to all M6’s and early M7’s. Leica fixed the problem in later M7 models and all Leica MP and M-A models. The flaring problem gets a lot of attention in online forums, but frankly, it is far less a big deal than people make it out to be. When I shoot with my M7, flaring rarely occurs, and I can deal with it just my moving my eye a tad. If you can live with that, early model M7’s can be had for less money than the later models if you are looking for deal. When I shoot with the Leica M7, I use the automatic shutter speed almost entirely, and for me, that is the only reason to shoot with the M7. The finders of both the M3 and M6J are superior to that of M7, so if I want to shoot manually, I grab one of those—mostly the M3. So it is only on days when I feel I just can’t be bothered with manually setting shutter speed that I grab my M7–and that is not very often. 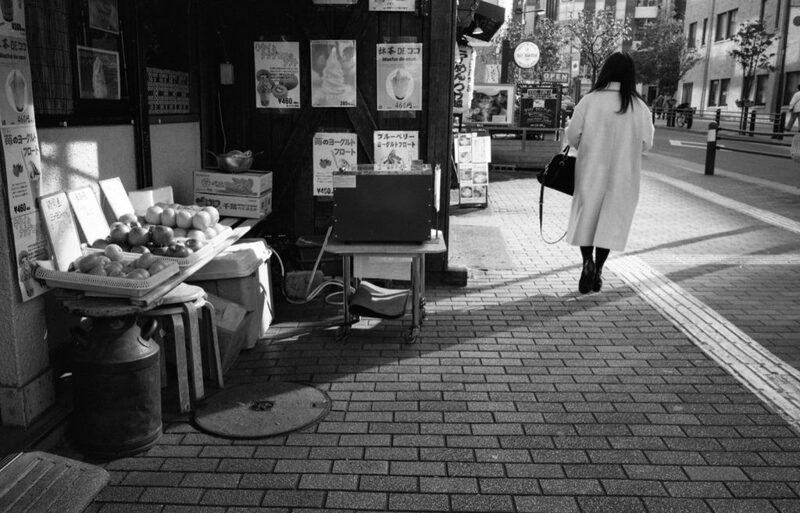 When I do, however, shooting with the Leica M7 is a pleasure. It has a bit more heft than the M6, although not as much as the M3. It feels good in the hand, and tight and solid somehow, more than the M6. Because of the electronics, the M7 is slightly taller than the M6, M3, and presumably the M4. I find that extra height neither pleasant nor unpleasant, but definitely noticeable when shooting. Still, shooting with the M7 is not all peaches and cream. Because it is electronic, it uses a lot of battery juice, and if you are not paying attention, your battery can die on you, which once happened to me while traveling. The battery a type that is not commonly sold—two 2L76 (DL1/3N, K58L, CR1/3N) lithium cells if you are curious—so if you are not carrying spares, you are kind of out of luck—although, not entirely out of luck. The 1/60 and 1/125 shutter speeds are the only ones that are mechanical, and you can set them manually, so the camera is usable in a pinch until you can put in a new batteries. None of the other shutter speeds will work, and you will have no light meter in the finder. If you are shooting with an M7, I recommend you always carry spare batteries. In addition to the flawed finder, early model Leica M7’s also have an unreliable DX coding reader for film ISO. The early models use metal contacts like most cameras with DX. In practice, I have found the M7 DX reader to be reliable with most films. 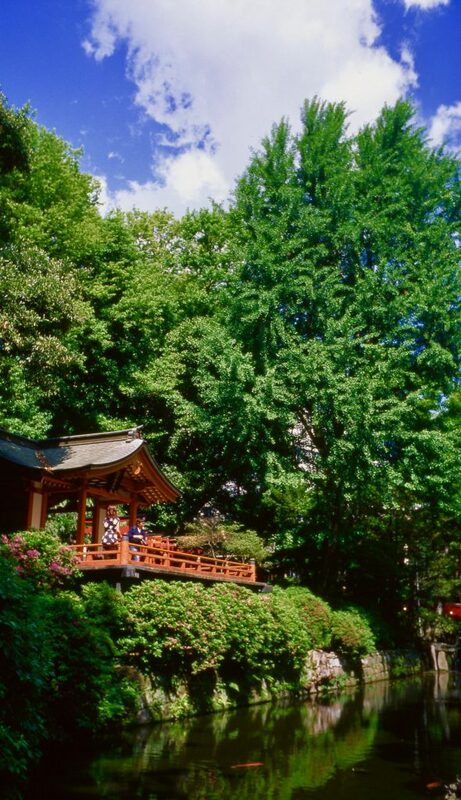 However, for some reason, it always gets Fuji Velvia 50 wrong, and who knows what else? Frankly, I don’t like the use of DX readers in general, because I am usually pushing or pulling film in processing. 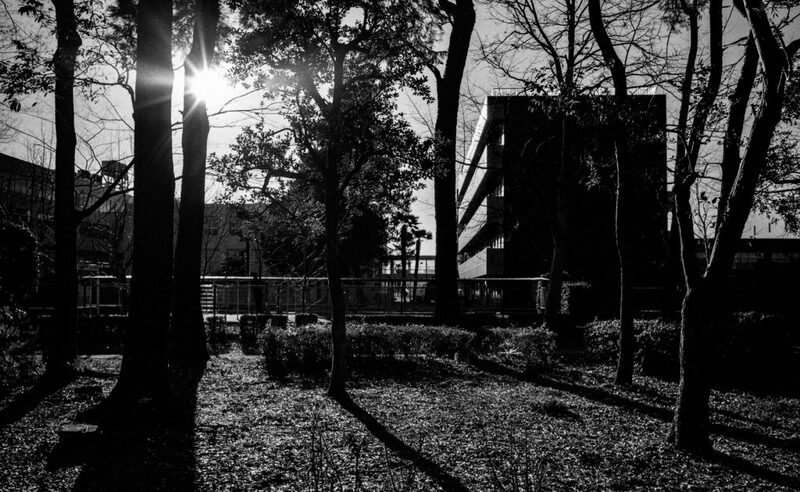 With the M7, I ignore the DX function and always select the ISO manually. Leica ultimately fixed the DX problem by using an infrared reader in later models. 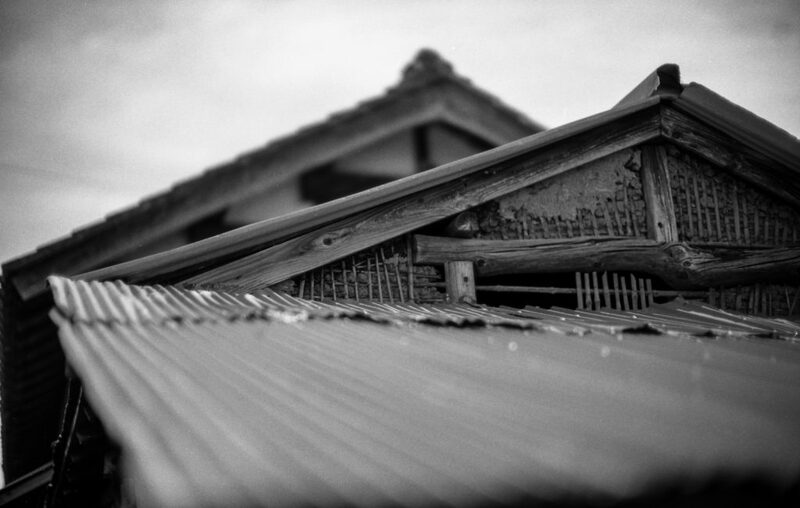 However, that poses a problem if you want to shoot infrared film, which I do from time-to-time. Better to get the old model with the faulty DX if you shoot infrared. Frankly, the camera would have been just fine without DX, in my view. 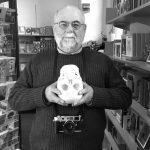 Are there really many Leica M shooters who care about DX readers anyway? Leica did produce some special editions of the M7 that I won’t detail here. 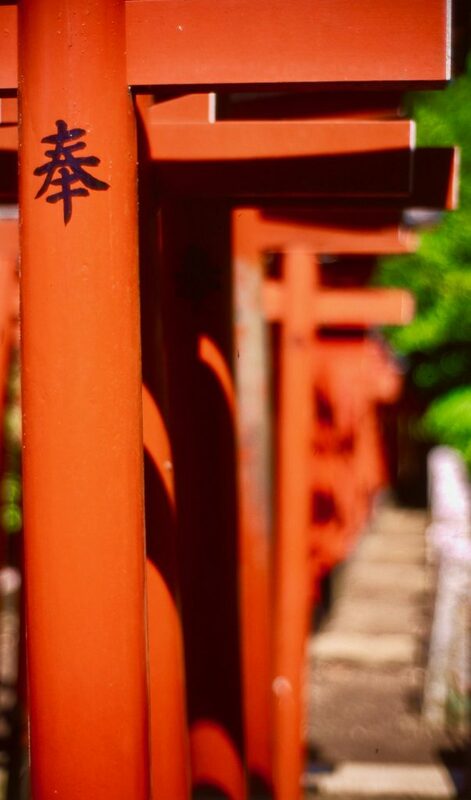 The only variant I will mention is what is called the Leica M7 Engrave, which is the version I own. The standard M7 top plate is blank, whereas the Engrave version has classic Leica lettering, and was sold only in Japan. I never engage in debates about which Leica M film body is the best. It all depends on what your priorities and preferences are. For me, it is the M3. Others swear by the M2, the M4, and the M6. Even the much maligned M5 has its aficionados. However, I rarely hear anyone raving about the Leica M7. The electronic shutter appears to do more to alienate Leica lovers rather than entice new ones. Leica’s ham fisted attempt at making life easier for photographers by adding a DX functionality ended up doing the opposite. Given the original selling price of the M7, buyers expect more from Leica. The Leica M7 is in all respects a camera that is neither here nor there, and perhaps this is why Leica discontinued the M7 just last year. Those in the market for a new film M body are either pulled toward the “mechanical perfection” of the Leica MP or the purity of the the Leica M-A. And why not consider a used M6 TTL in good condition for nearly half the cost, despite being a more functional mechanical version of the M7, minus only the automatic exposure, which in all honesty few Leica M film shooters ever really cared about? I suspect Leica M7 sales were already pretty paltry when Leica finally decided to pull the plug. Does this mean you should not consider purchasing a Leica M7? Certainly not. All the Leica M’s are wonderful in their own way. I’ve noticed that the prices of used Leica M7’s are going up, and have increased substantially since I bought mine three years ago—even the “flawed” early models. So if you want one, get one while you can. They are not making any more of them. 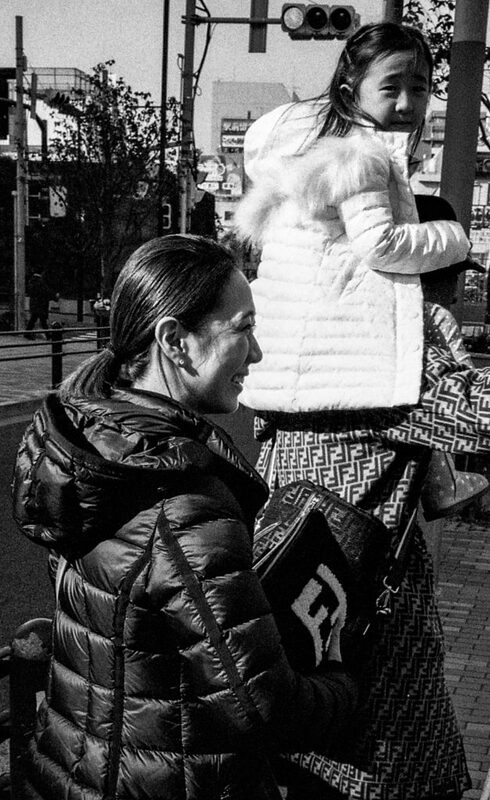 I am a street photographer who lives in Japan. If you would like to see more of my work, have a look at my website bleisteinphoto.com, or my Instagram @sbleistein. Yes. I use my Summicron 35mm f/2 with goggles on my M7 with no problem at all. It chooses the 50mm frame, which is better if you happen to wear glasses. 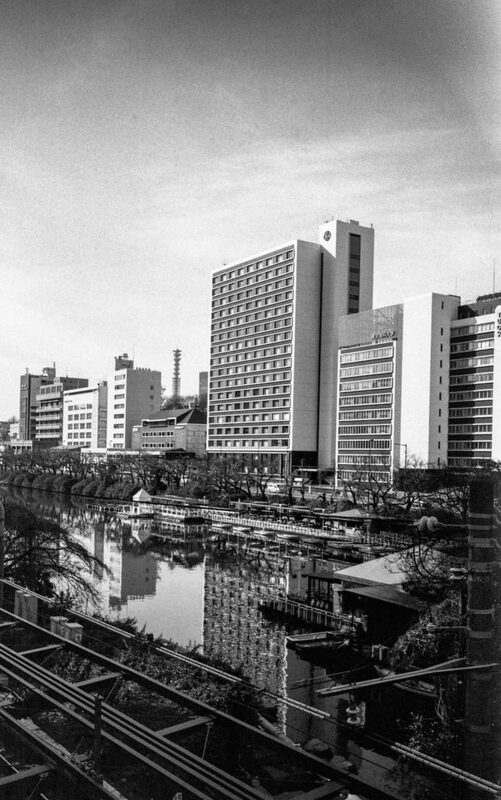 In fact, you can use that Summicron on the M2, M4, M6, and M240 in the same way. It is only the M10 that is problematic because of the lens mount protrudes from the body more than any other Leica M model, which moves the optics away from the finder windows. Nice to see review of one of the best M.
I had multiple ( in fact nearly all M) and the one I bought multiple time was the M7. Agree with you the flaring problem or the DX is a none issue. More problematic is the non sealed eyepiece wich oblige to clean the internal of the rangefinder often in the first models. What male the M7 à Beast is it’s ability to do streetshoot with the A mode. And the precision of it’s timing curtain make it the best ever leica M.
Because the electronic does not stop at any speed but use the full range between each one and so is far more precise than any out of CLA old M.
I think the M7 is an ideal companion of my M-A ….you can use it to teach you how to evaluate light and is a very good help in low light conditions. Regarding the size and the send of the speed control wheel, It came from the Leica zero and 1 and the sens is the normal scientific one use by most of the camera. It is the led of the M6 wich are wrongly oriented. MP and Ma revert it to remove a gear wich is questionable. 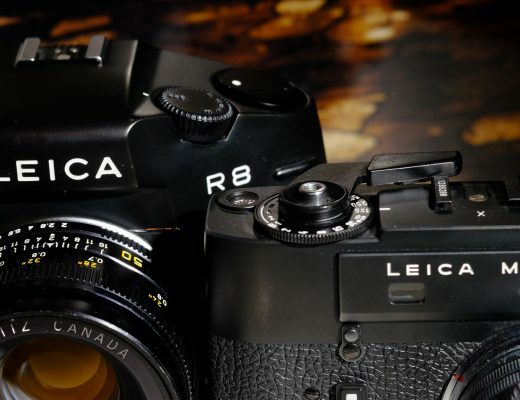 Leica is dropping it….I hope they will change their mind and will redo it in few years. I used to carry around my M7 and M3 together in a bag, and this was a brilliant kit, like your M7/M-A! My M7 has a .72x finder, so I get the 28mm frame lines. The only thing is that I cannot see the entire frame at once wearing glasses. I am not sure even without glasses the 28mm frame would be entirely visible! So, I often attach an external 28mm finder. I don’t shoot with my M7 as often as I do with my M3, which I prefer to any other M body, but when I do, I love it! Very nice pictures with a beautiful cam. I’m glad you’re having success w/your M7. My experiences were not quite as positive, and I finally sold it off last year. I had purchased it used (early production model) from a large NYC camera store. 3. It would occasionally treat me to a LED light show. 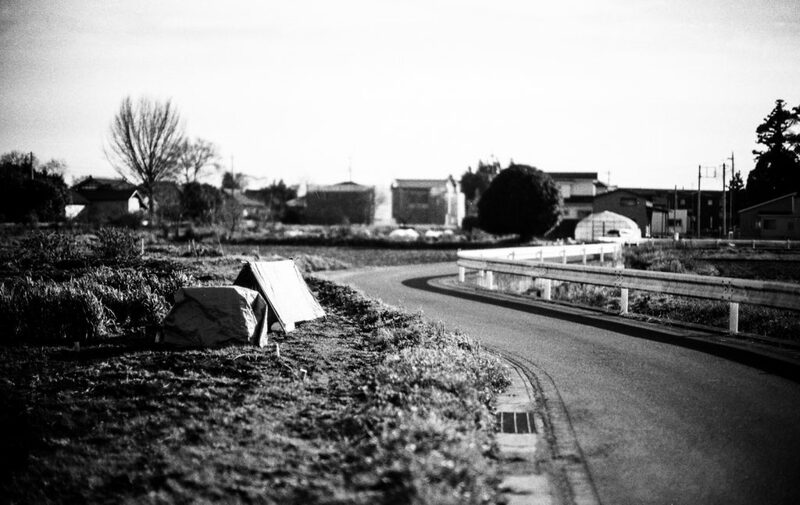 I sent it back to Leica USA for a fix. 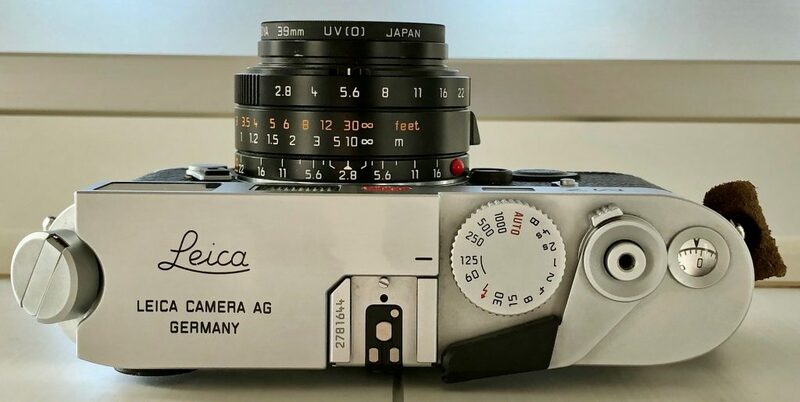 Unfortunately, it went to Leica after they stopped offering free fixes. The repair cost me close to $500. They fixed everything. I took it on two oversea trips to the UK and Italy. I set the ISO dial to 200 get an exposure that I could work with in my darkroom. The M7 has what amounts to a spot meter. I’ve got close to 50 years of photo experiences, and I found that I got better results when I trusted my gut, not the auto exposure system. The weight became a problem due to a chronic back injury. An all day carry left me in pain. I found the extra height of the body prevented my 35mm f/2.8 Summaron (w/goggles) from rendering an unobstructed view. Leica accessories & lenses should fit production Leica M cameras without fiddling around. I used my 40mm M-Rokkor in it’s place. Finally, working with the M7 was not noticeably easier nor were the results better than my M4-P (lighter; less back strain) or my M2. This is not (and I hope it doesn’t come off as) a damnation of the camera. It just wasn’t for me any my way of making photos. Your work shows it’s a fine machine that in the hands of a good photographer, can produce great photos. Clearly, the M7 is not your cup of tea! It sounds like yours had some quality issues too. I had heard from some Leica specialists in Tokyo that the electronics of some early M7 models are beginning to go bad, whereas much older mechanical M2, M3, and M4 models are fine with just a bit a maintenance! I also agree with you that the mechanical model M bodies are in many ways far easier to work with. I would caution anyone purchasing an M7 used to do so from a reputable seller. I bought mine from Map Camera in Tokyo whose standards are exacting. Thanks for a nice review of the M7. I’m one of those people who consider the M7 to be Leica’s best M film camera. I bought one new 15 years ago and it’s been my primary film camera ever since. I’ve used other M’s but the M7 is just so practical, that it’s the one for me. I wanted to point out that should your batteries fail when you do not have spares with you, you can use 4 SR44 1.5 volt button cells (or their equivalent) which are pretty easy to find in most drug stores or at least they are here in the U.S.
That’s a really good tip! Thanks! Hi Steven, you could stack 4 A76/LR44 instead of 2L76 batteries, since that are basically the same thing, and A76/LR44 is readily available. I use it all the time and never have any problem with battery issue. Excellent advice. 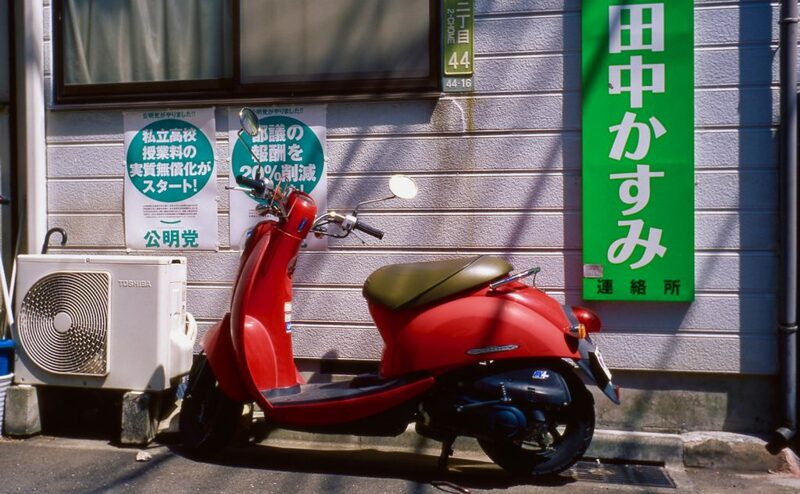 LR44 batteries can be bought in just about any convenience or grocery store in Japan in any part of the country. Very good to know. My M6 light meter takes two of them! You won’t find an M3 at Map Camera. They rarely get them in, and when they do they are usually super rare models selling for $15,000 or more. If you want to procure an M3 for yourself in Japan, I recommend you contact Kanto Camera in Kawasaki. You give them your requirements and your budget, and they will find a body for you, and overhaul it. They guarantee their work, and an overhauled M3 with them ends up looking almost new. They reskin if needed, and they touch up chipped paint as well. They will do custom repaints and skins if you ask and want to pay for it. I would contact Kanto Camera before your trip to give them time to source a body in good condition and do the overhaul work. In my experience, it takes them less than a month, but they ask for two months. Once they have a body, they will complete the overhaul in a week or so. Kanto Camera has an English speaker on staff, but if you are concerned about communication, I recommend instead asking Bellamy Hunt at Japan Camera Hunter to source and overhaul a body for you. You pay a bit for the service, but he is well worth the money. You can find lots of M3 bodies on the shelf at Lemon Camera in Ginza. These are mostly in good condition depending on the rating. However, Lemon is not nearly as exacting on condition as Kanto Camera or Bellamy Hunt. Still, I don’t think you would go wrong buying an M3 rated AB or higher at Lemon. I would avoid purchasing an M3 at other shops in Ginza unless you really know them well. I have had mostly bad experiences with a number of them. I have purchased M3 bodies designated as “overhauled” only to have them inspected at Leica’s lab in its flagship Ginza store to be told things like, shutter speeds are off, the curtain is cracked and leaking light, the M-mount ring is bent and you risk destroying a lens when you mount it, etc. You get the idea. I think these shops survive off of tourists who don’t know better and are maybe looking for a display piece. Better to have a pro do the sourcing and overhaul for you. The last thing you want to do is buy an M3 at what you think is a good price only to find out that it needs service, and you are sending it out for months and shelling out dollars. I have friends who have done this, and I did it the first time myself. Save yourself the aggravation. I posted a piece on the M3 on 35mmc a couple months back. You can read it here. Thanks for your reply. Very comprehensive! That is all really good advice, so thank you. I am aware of Bellamy Hunt and have visited his site a few times. I may either get in touch with him or Kanto Camera (which I’d never heard of). I do speak Japanese (my wife is from Osaka) so I should be able to mail them and make a request. You mention the ‘Leica Money Sink’ in your opening paragraph, Oh dear, I know what you mean. I currently have two – A digital and an M-P. I used to have an M6 but sold it, thankfully making a fair prophet. I love both my M’s but there’s something about the M-3 that really appeals to me – I guess the 50mm finder etc. Hopefully I’ll be able to get a decent one for a good price. In my view, the M3 is the best of them all. The AP feature of the M7 is its distinction. That’s why I haven’t sold mine. Would love to see what your M’ looks like!